While this is troubling at one level, at another level I find cause for great optimism. The good news is that people, at least in the developed world, are rejecting cultural and religious exceptionalism. By religious exceptionalism I mean the conviction that my religion possesses the truth and, by extension, yours is false. As people mix more and more, they come to appreciate the contributions of all the great religions. All across the country we see students at college campuses engaging others from different religious backgrounds in interfaith settings. Religions are not all the same, of course. Yet certain common themes and core values emerge in all of them. Among these are compassion, community, the practice of a spiritual discipline, and the pursuit of a difficult path toward a new level of consciousness. We UUs have been open to other faiths for a long time. We draw from a number of religious sources. We respect and try to appreciate other traditions (well, at least the more liberal and progressive parts of them). I have sometimes joked that we are a kind of spiritual refugee center for people from other traditions. I am one of them. I am now convinced that “belief,” in the way we usually use the word, is actually the enemy of faith, religion, and spirituality. Let me say that again: belief is the enemy of faith. When we dwell on beliefs we ask all the wrong questions. My faith is much more about what I love than about what I think. When the conversation shifts away from our beliefs to what we hold most dear, to what moves us at the depths of our being and what calls us, wondrous new possibilities emerge. We share and explore our deepest experiences. We discover what we have in common. Our attention naturally turns to how we want to live our lives and to the commitments we are willing to make. Our concern at the personal level becomes one of developing our awareness, of spiritual disciplines, of growth. At the interpersonal level, our attention turns to loving relationships. Finally, our attention turns to issues of compassion, justice, and interdependence. Faith becomes a relationship. Faith is about being faithful to what we hold sacred. This article appeared in the Fall 2013 issue of UU World (page 5). The Rev. 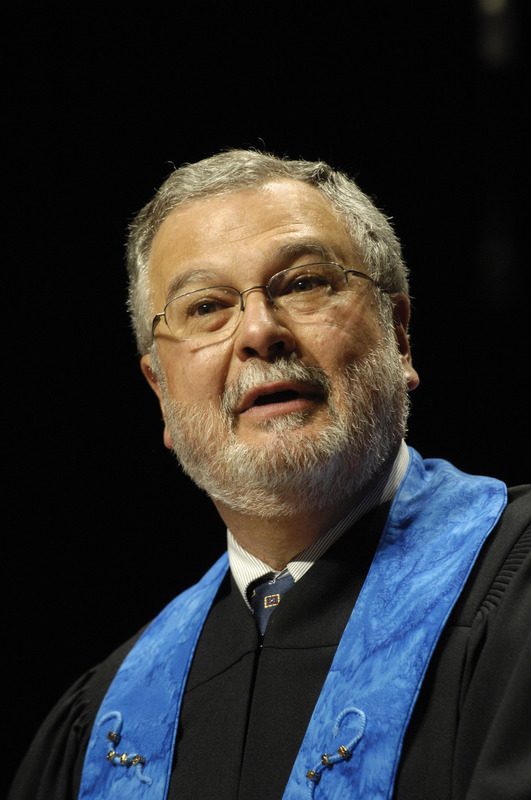 Peter Morales was the eighth president of the Unitarian Universalist Association (UUA). As religious people we have two essential tasks: we must offer sanctuary and preach our gospel.